McAllen,TX-CNN reporter Jim Acosta who has been a sharp critic of all things President Trump has found common ground with the President. On Thursday, he reported from the border wall along the Mexico border in a town called McAllen, Texas. 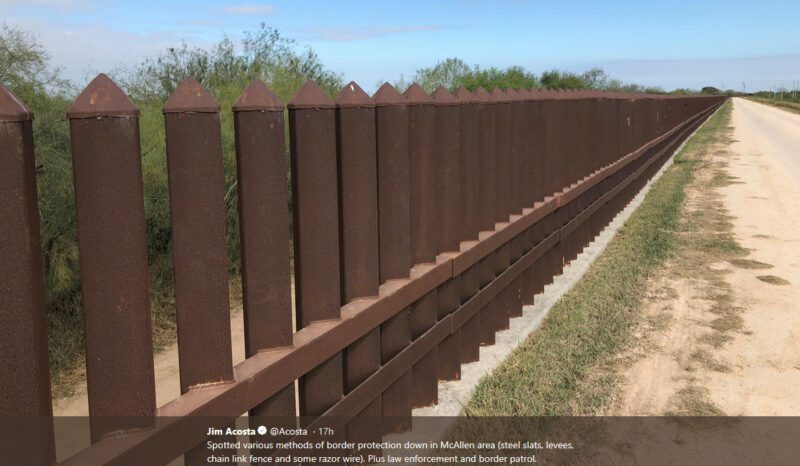 There, Acosta noted that the wall, a steel wall with slats was working to keep the town of McAllen safe. “It’s pretty tranquil down here,” Acosta said of the community protected by the fence. President Trump even retweeted Acosta’s account of the border wall. Donald Trump, Jr. went as far as thanking Acosta for finally delivering a fair and honest news report.